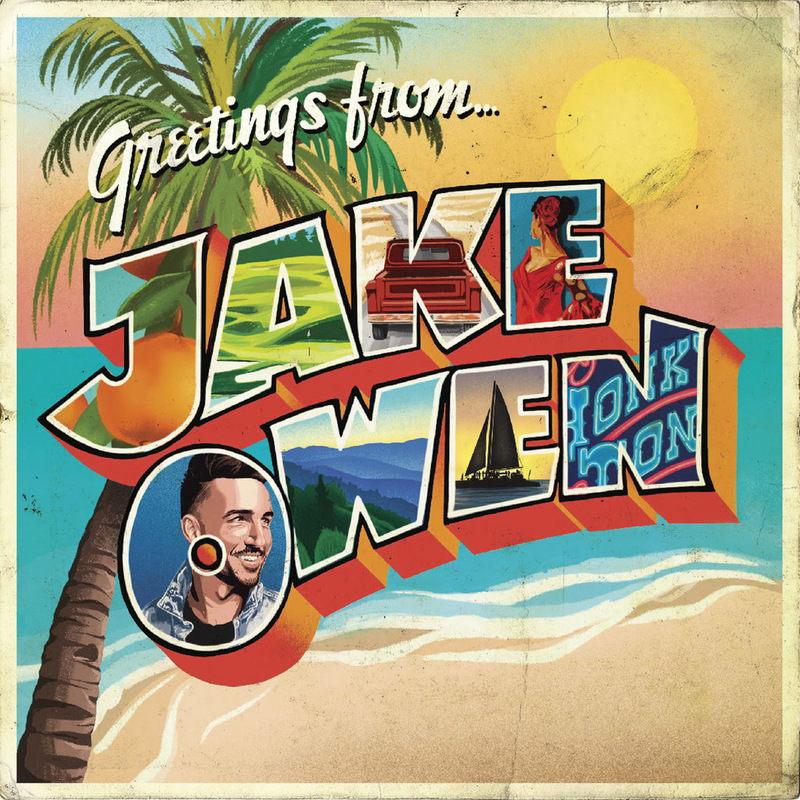 NASHVILLE, TENN. (March 22, 2019) – Big Loud Records Country star and ACM Awards nominee JAKE OWEN is setting the mood for his upcoming GREETINGS FROM…JAKE album, dropping the swaying romantic stunner “That’s On Me” today (3/22). A passion filled album highlight imbued with Owen’s signature brand of laid-back Country cool, the candlelit jam features sandy-smooth guitars, a patient romantic pulse and Owen’s suave vocal styling. All about letting Jack take care of the whiskey, letting Cash take care of the throwback tunes … and letting Jake handle whatever’s left, “That’s On Me” was co-written by Laura Veltz, Benjy Davis and Matt Dragstrem. DOWNLOAD OR LISTEN TO “THAT’S ON ME” HERE. Featuring the PLATINUM-selling #1 smash “I Was Jack (You Were Diane),” GREETINGS FROM…JAKE is due out March 29. Teaming back up with award-winning producer Joey Moi – who was also behind the controls for career-defining hits like “Barefoot Blue Jean Night,” “Alone With You” and “Beachin’” – GREETINGS FROM…JAKE marks the seven-time chart-topper’s first major record release since signing with Big Loud. Also included on the set are the sun-kissed standout “Drink All Day” – named one of Rolling Stone’s Country and Americana Songs You Need to Hear Now – collaborations with Kid Rock (“Grass Is Always Greener”) and YouTube sensation Lele Pons (“Senorita”), and Owen’s current Top 10 and climbing single “Down To The Honkytonk.” The lighthearted anthem to living like a blue-collar king is nominated for Single of the Year at the upcoming 54th Annual Academy of Country Music Awards, broadcasting live from Las Vegas April 7 on CBS, at 8:00 p.m. ET / delayed PT.